On the Principles and Practice of Conducting is a practical manual for building musical understanding and physical skills, intended for anyone who stands on a podium with the intention of helping an ensemble make music. The four main chapters address the major obligations of the conductor: 1) bringing the musical tones to life in the most beautiful, most moving way possible; 2) freeing the mind to fully absorb all the tones; 3) freeing the body of unnecessary tension; and 4) effectively using the freed mind and body to influence the sounds. Each chapter begins with a summary of the underlying principles, presents real-life applications, and offers exercises for developing skills. Video demonstrations of the exercises as well as downloadable scores and parts are available on this website. THE BOOK is a philosophical tour through the experience of musical beauty: what it is, and how the composer, performer, and listener all contribute. It explores – with insight, patience, and humor – profound issues at the essence of our experience. A hypothetical student performance of Beethoven’s String Quartet No. 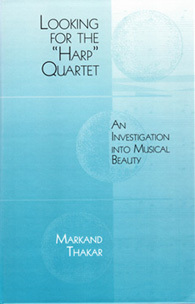 10 in E-Flat Major, known as the “Harp,” serves as a point of departure and a recurring theme for these explorations. For the layperson, the core of the book is the five dialogues between Icarus, an inquiring student intensely concerned with fulfilling his highest potential as a musician, and Daedalus, a curmudeonly, iconoclastic teacher who guides his search. Three technical articles, geared to the music professional and academic, treat the issues in greater depth. Counterpoint manuals have long been central to the music education of composers, historians, and theorists. 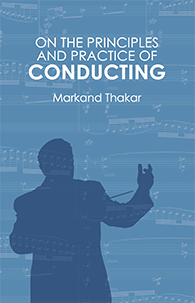 In this book a conductor uses counterpoint exercises to aid musicians in becoming sensitive to the fundamental ingredients of good music making. The author takes the reader step by step through the composition and performance of the counterpoint species, from unaccompanied lines to complex three part exercises. Each genre of counterpoint is preceded by a discussion of the musical element it introduces - line (cantus firmus), harmonic interval (two-part counterpoint), dissonance (second to fourth species), and rhythm (fifth species). "Write-throughs", which illustrate the composition of an exercise from start to finish, are included for each species. Throughout, the author focuses on the experience of musical beauty, recognizing that it results from the contribution of both composer and performer. Thus each exercise is successful only when it is composed, and performed, so that it allows this experience. And as each new element of music is introduced, its effect on the experience of beauty is considered. This book should have value for a wide range of readers, from accomplished soloists and composers to near beginners. It aims to advance conscious understanding of the principles of good music making, yet the reader needs to know little more at the outset than the major and minor scales, a few key signatures, and the names of intervals. National Public Radio’s “Performance Today” program. Click below to view transcript. So You Want to Be a Conductor? Don't Hire an American Conductor! Copland's Hear Ye! Hear Ye!